Age 41, passed away on Oct 7, 2017 in Kalihi, 20 months after a brave battle with cancer. She was born on Jan 30, 1976 in Hon, HI. 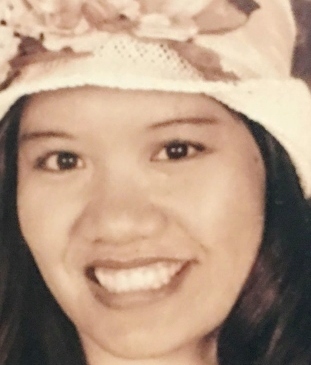 Youngest daughter of Alfredo (deceased) & Josephine Balisbisana Acierto and 4 siblings: Alan Sr (Wendie), Debra (Cyril), Stephanie (Mefflin) and Blanche (Dylan). Kimberly is survived by her husband Winford and 3 sons: Blayde (19), Xavier (7), and Skyelar (4) Biacan. She graduated from St Francis School and was employed by Kaiser and worked in Health Info Mgmt as an Inpatient Coder. She previously worked at Tripler. Memorial services will be held on Mon, Dec 18th at Borthwick Mortuary Maunakea Chapel, Honolulu; 9am visitation; 10am celebration of life service; Inurnment at 1pm at Valley of the Temples Memorial Park, Kaneohe.